Every year, I lead a hiking and touring trip in Tuscany for Embark Adventures. 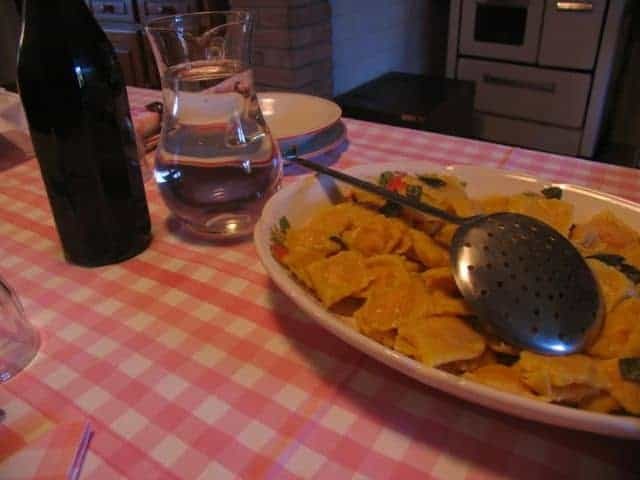 The 2016 version of “Trails and Tables of Tuscany” will be much like previous trips, with slight tweaks. It’s still the perfect combination of hiking through the hills and mountains, touring historic and cultural sights, and eating some of the best meals of your life. Off on another walk — to a winery, perhaps? The trip begins and ends in Florence, where you can wander the medieval streets, go see Michelangelo’s David, and compare from dozens of restaurants and gelato shops. 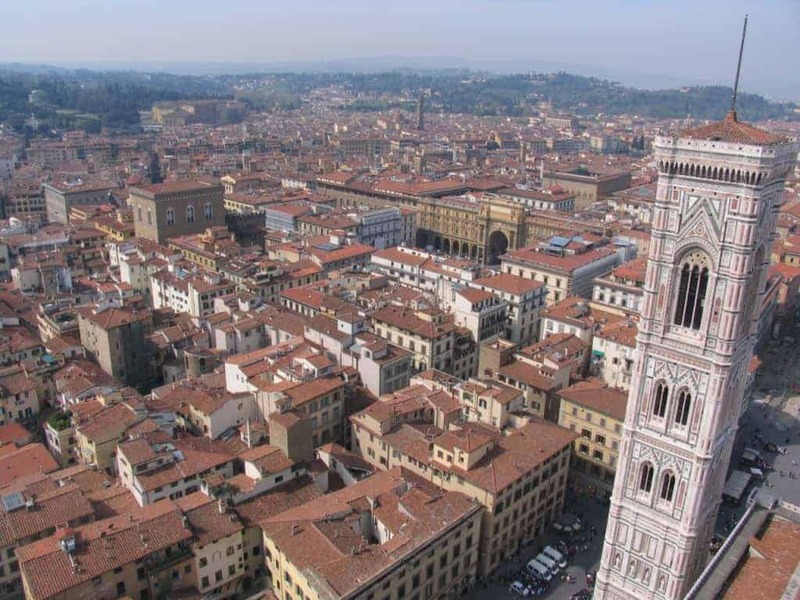 You might even want to climb a tower in Florence. 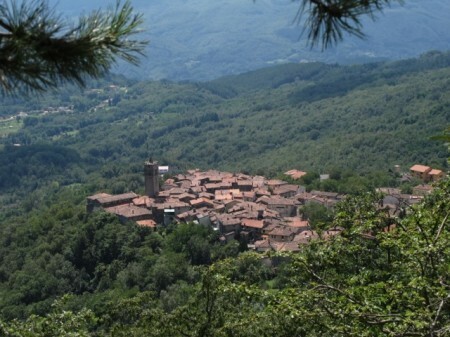 The village of Corfino, in the Garfagnana north of Lucca. 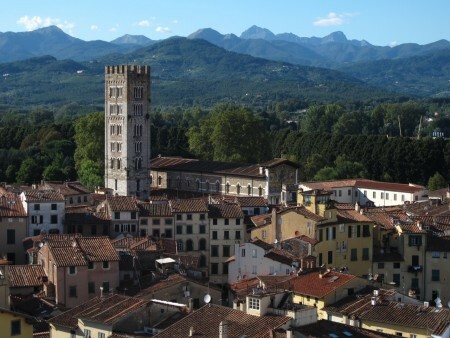 … and then head into the wonderful walled city of Lucca. Lucca from a local tower, Alpi Apuane in the background. 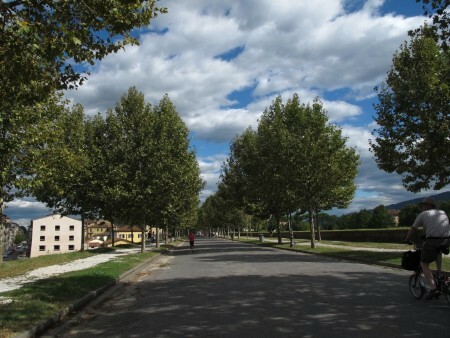 Lucca’s intact city walls are now a park. After a guided walk of Lucca, we have the afternoon off to explore — and then eat in a slow-food restaurant with nothing but local, seasonally fresh ingredients. … and then it’s off to the Val D’Orcia region of southern Tuscany, home of amazing wines like Brunello (we will visit a winery or two), Roman-era towns, and rolling-hill scenery. Here, in addition to our walks, we’ll visit a still-active monastery and hilltop villages. 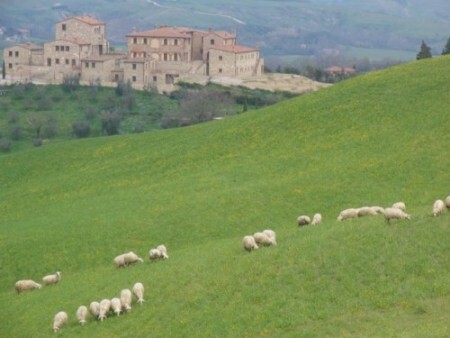 Sheep grazing in the hills of Val D’Orcia. Then it’s north to the almost perfect countryside of Chianti, where we spend several days with a passionate and expert local guide showing us the real Tuscany: meeting olive oil producers, dining in private homes, visiting places not open to tourists, and of course walking the hills. Tuscany is a great place for both hiking and touring. The hills of Tuscany, just as you dreamed of them. The trip ends back in Florence, where we get on trains or airplanes for home — or for more adventures, which we are happy to help you set up. We want to show you the real Italy, the one you dream about, the one that regular tourists never see. Care to join us for some hiking and touring in Tuscany? This trip will run from June 6 to June 19 and cost between $4,000 and $4,500, depending on exchange rate and number of people — with a maximum group size of 12. 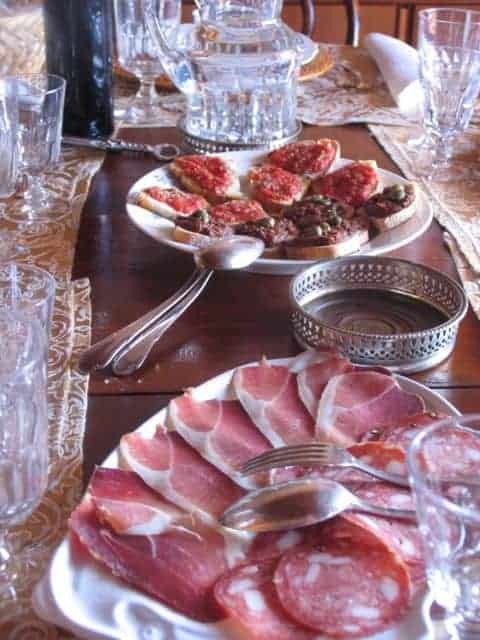 Here’s a brief itinerary for the 2016 “Trails and Tables of Tuscany” trip. June 6: Meet in Florence. June 7: Transfer to Garfagnana region with a stop in Vinci for a hike and visit to the home of Leonardo. June 8: Hiking in Garfagnana. June 9: Hiking in Garfagnana. 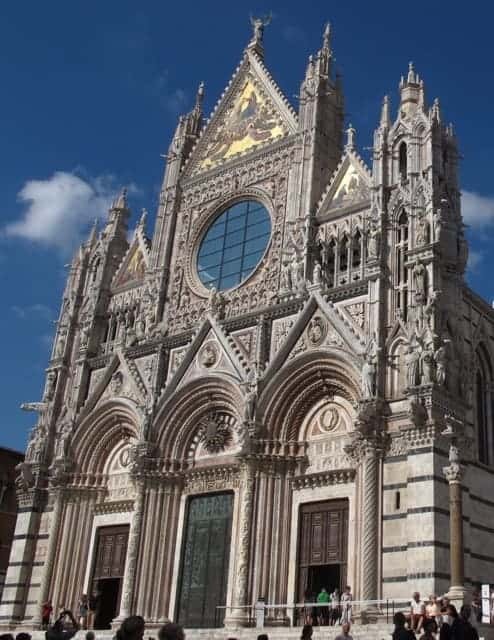 June 10: Hike; transfer to Lucca. 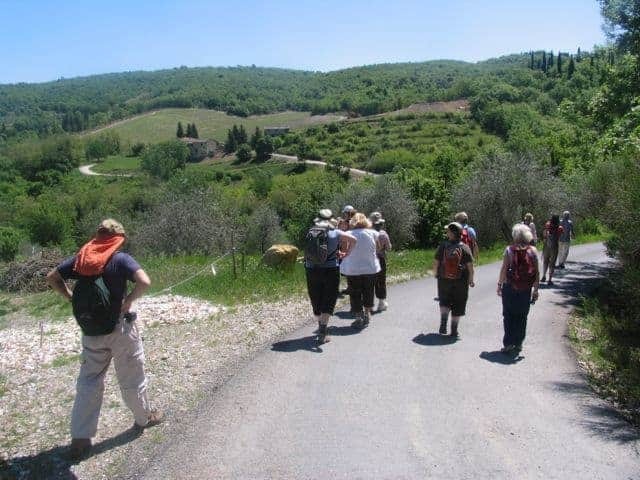 June 13: Hiking and touring in Val D’Orcia. 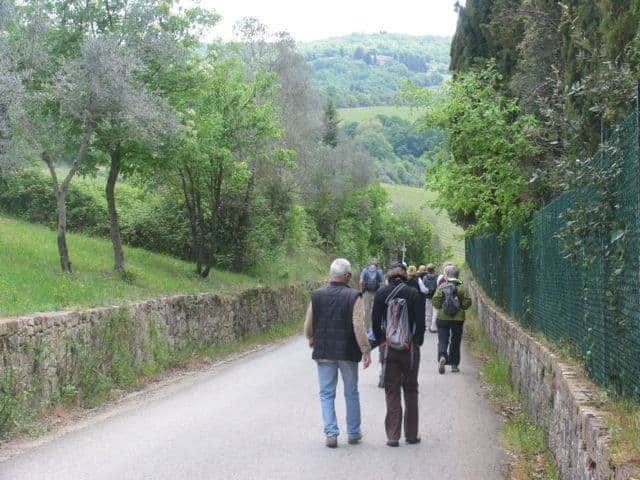 June 14: Hiking and touring in Val D’Orcia. 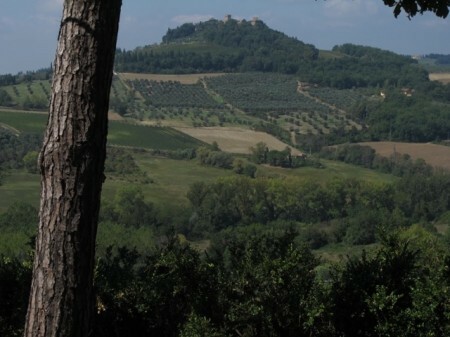 June 16: Hiking and touring in Chianti. June 17: Hiking and touring in Chianti. June 19: Trip ends in Florence. Cost: Around $4,300, depending on exchange rate and how many people go (maximum 12).